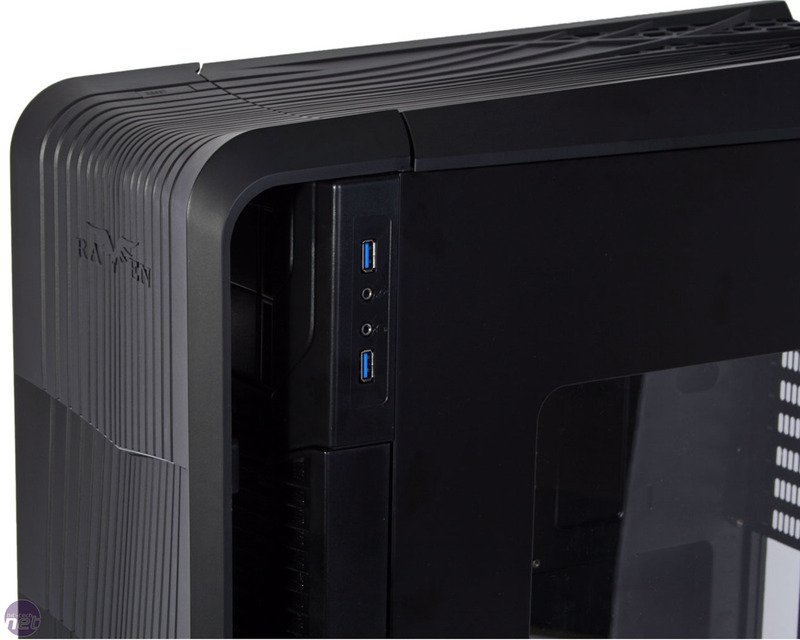 With a tradition of rotated motherboards, front mounted PSUs and drive mounts in the unlikeliest of places, SilverStone is well known for its alternative case designs. Its Raven series has had its ups and downs though, with the RV03 falling short of the high standards set by the RV02. With us now is the RV04, which, thanks to yet another redesign, is mostly only a Raven chassis by name rather than relation. We've been informed the UK retail price will be £112.90 excluding VAT, which puts it at the £135 mark once the government has taken its piece of the pie. 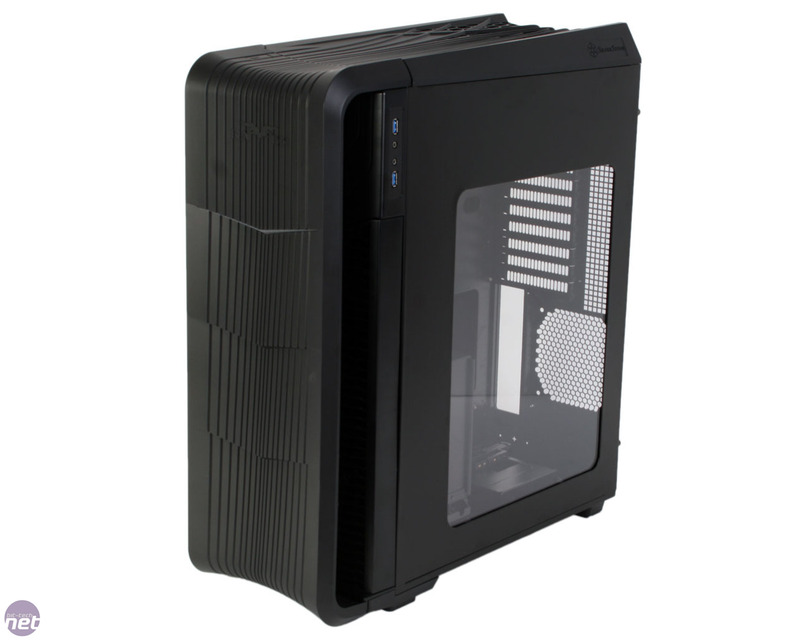 It's a costly case, then, and it'll have to fend off the likes of NZXT's H630 and Corsair's excellent Carbide Air 540, both of which can be had for around £120. The Raven RV04 is visually striking to say the least. 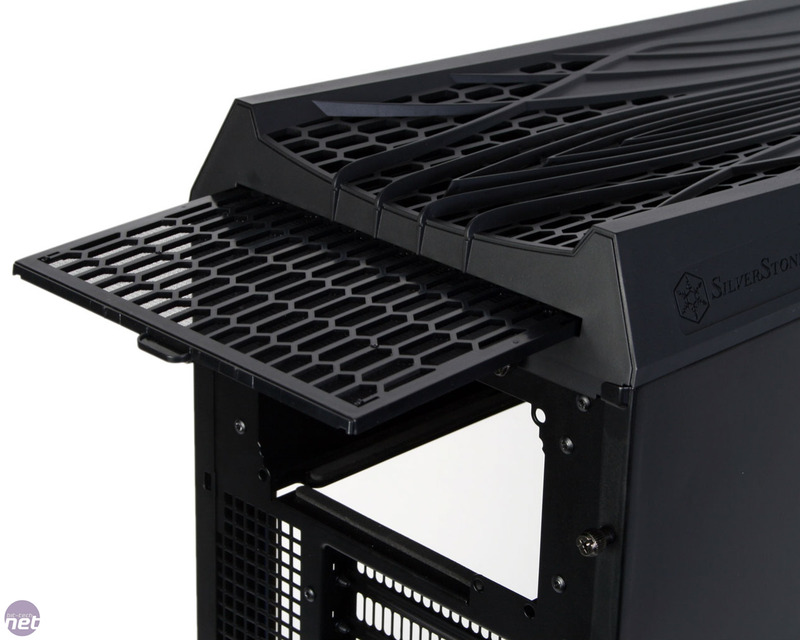 Thick and fairly rigid black plastic adorns the top and front of the case, with indents forming a pattern of intersecting lines on the roof that straighten out as they make their way down the door. The door itself, which is also a moulded piece of plastic, is open for ventilation on both sides, with the distinctive arrow segments on the front being all that really ties it to the Raven series. 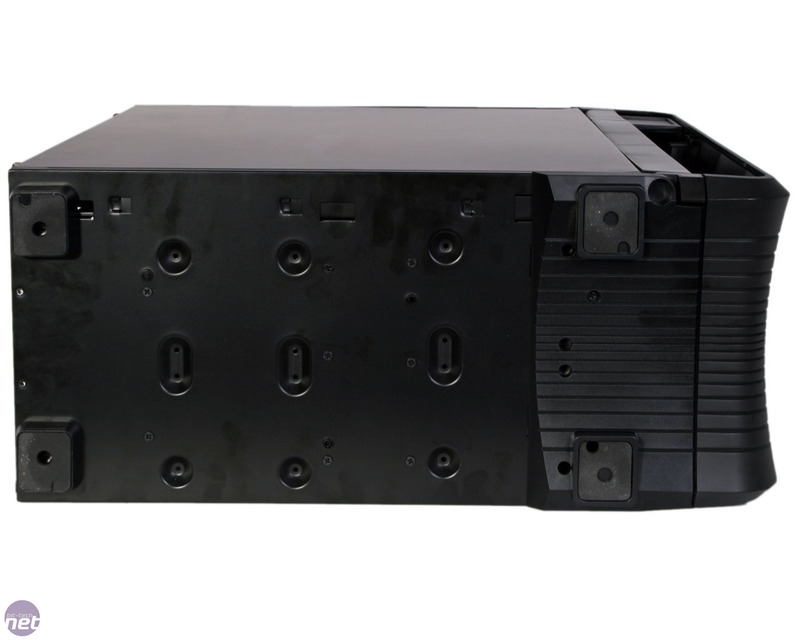 The top section plays host to the power and reset buttons on top, as well as power and HDD access LEDs below it. The irregular interior, which you can read about over the page, is responsible for the clear window being on the right side panel. Our Raven RV04 is a pre-production sample so we expect to allow a little extra tolerance regarding build quality, but even so there are some worrying signs of low quality construction on its outer shell. 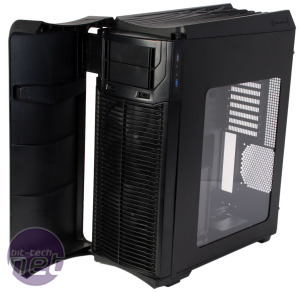 The roof and front panels are poorly aligned and leave a gap when attached, while the two side panels don't rest completely flat against the case. The worst aspect by a long way, however, is the case door. It clips shut very loosely and no magnets are used, with the result being that it can flop open pathetically with even small movements. Furthermore, its hinges do a poor job of holding it in place, so it's wobbly and badly attached. Finally, even when opening it, it often gets caught up on itself at the top corner where the cabling is and requires readjustment to properly open. Thankfully, the side panels and core chassis provide some much needed respite from the disappointment, as the steel is very sturdy and has a nice smooth finish. 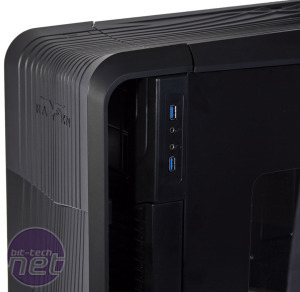 Even the windowed side panel refuses to flex much under pressure. 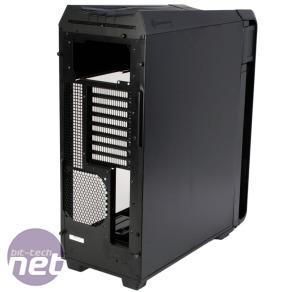 The big square case feet are excellent as well, thanks to the thick rubber that gives the case plenty of grip. Behind the front door you're greeted by a large plastic dust filter, that pulls off and clips into place with ease, but is a touch too loose as a result. 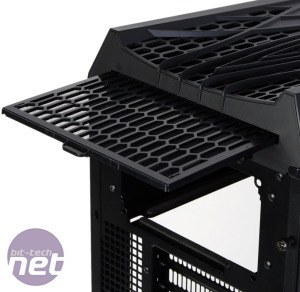 The pair of plastic optical drive bay covers above it are likewise easy to use, as is the slide out dust filter on the roof that guards your PSU. 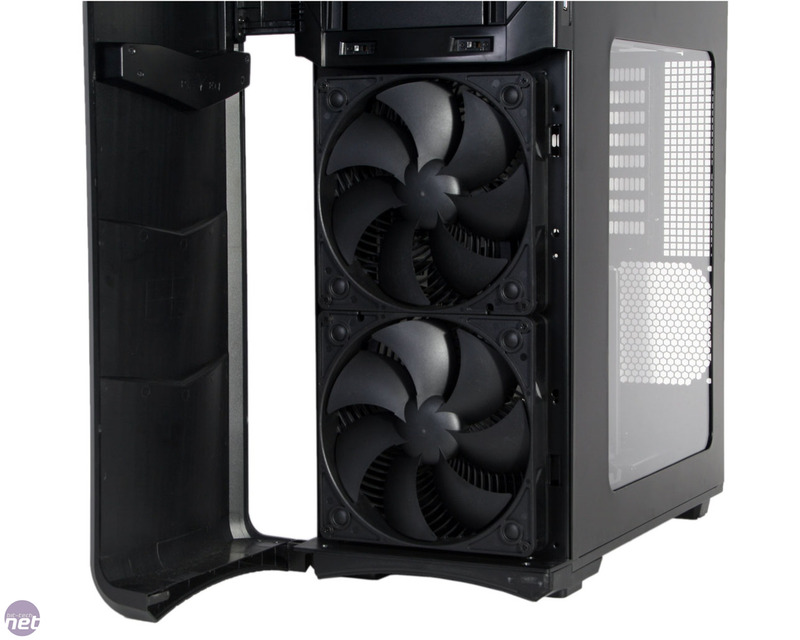 The two filters ensure the case is properly protected against dust at all of its air intake points. 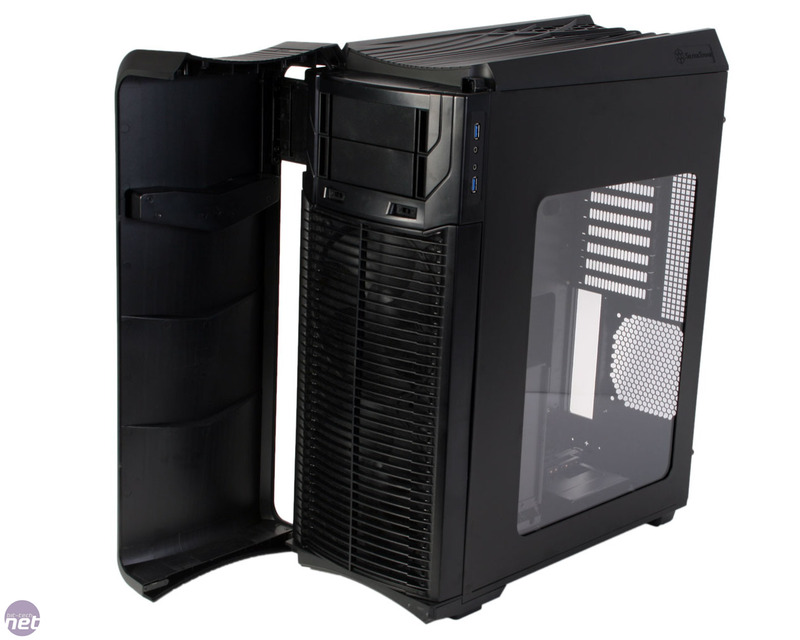 The case's only fans are the pair of front mounted Air Penetrator AP181 models. We've seen these fans used to great effect in previous SilverStone cases, so their presence here is encouraging. As with the Sugo SG08, SilverStone has included no exhaust fan, but a single rear 120mm mount is provided. We criticised the Raven RV03 for providing excessive fan mounts that contradicted its guiding airflow principle, but that's not the case here, as the RV04 has clearly been designed solely around a front to back cooling arrangement. 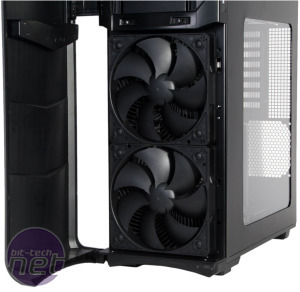 The two fans also have separate three-speed fan control switches positioned just below the optical drive bays. 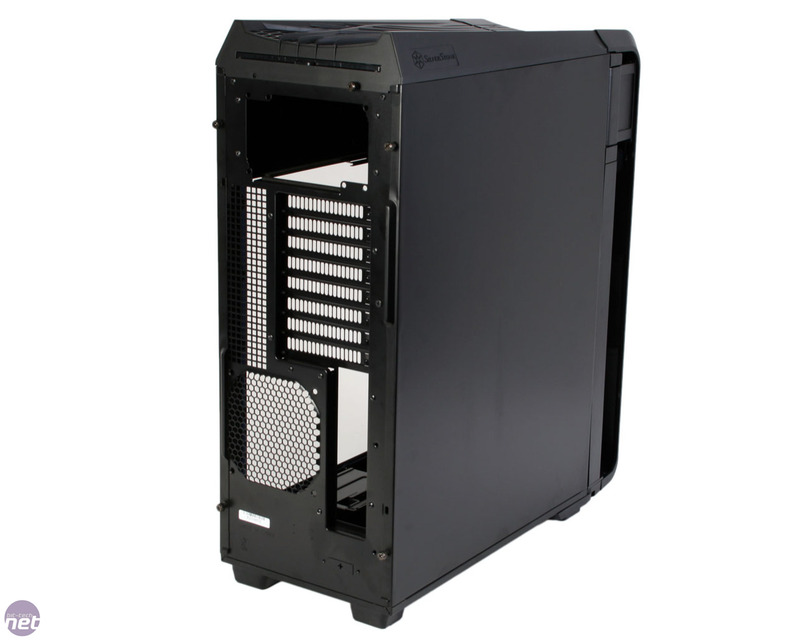 The rear of the case is largely given over to ventilation with plenty of holes for exhausting hot air. 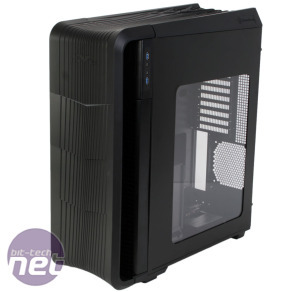 The only remaining feature on the case's exterior is the front I/O panel, which is placed on the right side of the front panel, much like on the NZXT H630. It consists of the standard set of two USB 3.0 ports and analogue audio plugs.